This is an unabridged recording of a joyously inspirational book. 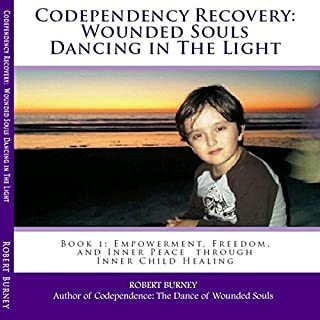 Codependence: The Dance of Wounded Souls has been called "one of the truly transformational works of our time." Author Robert Burney has been referred to as "a metaphysical Stephen Hawking" - and his work has been compared to John Bradshaw's "except much more spiritual" and described as "taking inner child healing to a new level." 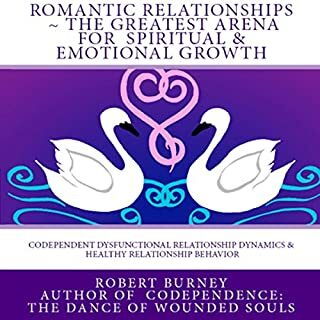 In Codependence: The Dance of Wounded Souls he combines Twelve Step recovery principles, ancient (and New Age) metaphysical truth, and Native American spirituality with quantum physics and molecular biology in sharing a perspective on the human experience that can lead to a life-changing Spiritual Awakening by reminding you of who you truly are, and why you are here ina human body at this very special time in human history. This book is as close to perfection as possible. I've listened to book after book on shame, self-improvement, and discovering worthiness. Welcome to my mid-life crisis! This book really spoke to me and gave me a self-awareness I've never experienced before. Thank you for this book and the perfect narration. 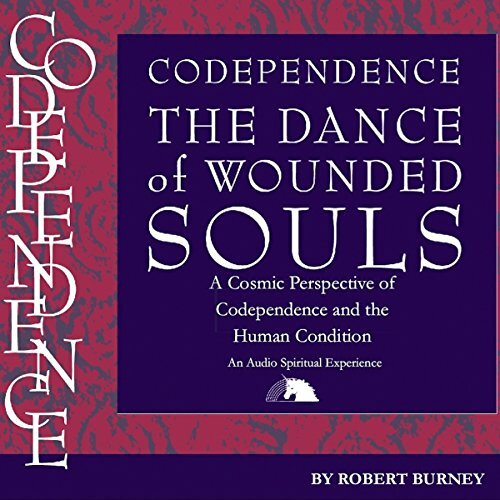 What made the experience of listening to Codependence: The Dance of Wounded Souls the most enjoyable? This was an interesting book, but it really did take time to catch the listeners interest. From my perspective, that is. This is a very insightful, well-written book. The wisdom Robert Burney imparts is life changing. I love how he describes the way the events of our childhood lead to co-dependence and what we need to do to heal. I also love how he discusses viewing the difficulties of life from a spiritual perspective. I highly recommend this book for anyone who struggles with addiction in any form, or continues to attract the same type of toxic relationships, or feels overall they are unworthy of anything or anyone that is good. 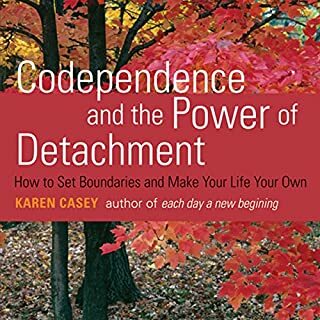 I finished this book in few days, it was very enjoyable and give a spiritual prospective completely out of the victim roles us codependents usually have. I love it. I will be reading this book more than once it all makes sense. This book was hard to follow. At times he spoke as if he was coming from a spiritual viewpoint, but then flipped to an atheist point of view. The book does make some good points, but was unclear to me on his stance. So his message was lost to me. Loved it. I didn't realize that there is a book so amazing. Perfect timing! Im so glad I had a chance to hear it. I'm grateful to this author for sharing this book. I will be relistening agsin soon! I loved the idea about connecting to the eternal source and healing based on being connected to something greater than me. The narrators voice is hard to listen to for a long period of time. As a Christian I understand why the Author doesn't believe that in God's Word, and it's okay, at one point I didn't either. I just loved the insight, and you have to overlook the rest. Good book, and narrated very well, easy to listen to. 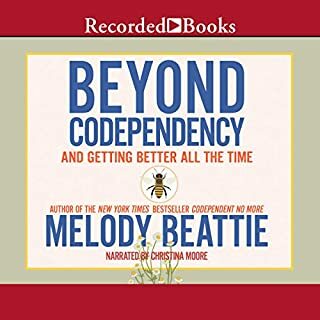 Where does Codependence: The Dance of Wounded Souls rank among all the audiobooks you’ve listened to so far? One of the best I have listened to - several new very helpful thoughts. For me, to take the advantage of the content of the audiobook, I needed to make pauses. Although I was troubled by the author's expressions about my religion - I decided to take what was helpful to me and leave out the rest. I think that I would like to listen to the other audiobook of the author. Each phrase contains answers. I think about the message within and along comes another wisdom and another. I have listened twice now. And I will have to listen again. I am extremely grateful that a book of loving answers to anything and everything a human needs to know to solve anything exists. I am feeling stunned and quite like i still can’t quite believe that this exists. 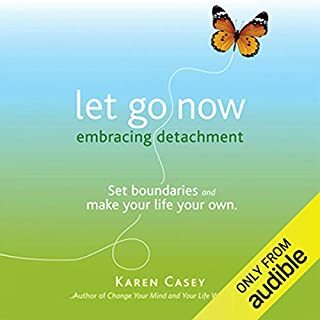 This book has allowed me to connect the lines of all of my teachings so far. 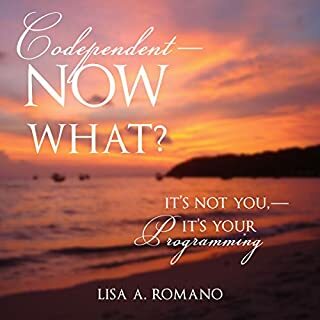 Although it’s a bit “out there” in parts this book it has given me some deep and meaningful insights into codependency that other books on the topic failed to provide. Nail on the head. A great dose of soothing empathy and inner truth right to the core of the wound like an itch no one else has been able to quite get to before. Love how it was able to tie the inner child to the adult now to help reprogram current reality. Has been a hard process to understand but the book in particular really helped progress this.